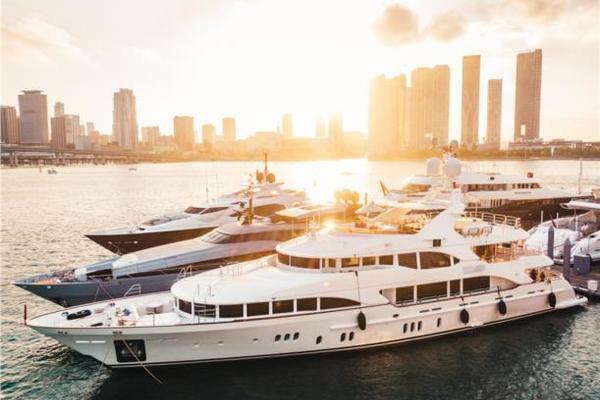 Launched in April of 2003, 'More' was designed to charter, and has successfully cruised the Mediterranean and Caribbean extensively with charter and private guests. The result of close cooperation between the shipyard, the Owner's representative Velonà Yachting, Stefano Righini for external styling, and François Zuretti's interior design, this Benetti Vision 2 combines Benetti mega-yacht accommodation with the luxury and comfort of a 45m composite yacht. She has all new zero-speed stabilizers, 2 new generators, new air-conditioning system, 2 new water makers, all new exterior upholstery and new linens in the interior and completely repainted with awlgrip and all new caulking of decks. West Florida Yachts would love to guide you through a personal showing of this 147' Benetti Vision 2003. This yacht for sale is located in Viareggio Italy and priced at $8,000,000. For a showing please contact us by filling out the form on this page and we will get back to you shortly! 2 Seadoo Bombardier Wave Runners.